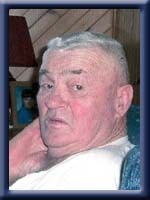 INGRAM – Charles Philip, 75, of Liverpool, Queens County, passed away peacefully in South Shore Regional Hospital, Bridgewater on Wednesday, March 14th, 2012. Born in Liverpool, he was a son of the late John and Elsie (Whynot) Ingram. Charlie was owner and operator of Charles P. Ingram Construction Limited for over 50 years. He loved his daily drives checking on his woodlands and enjoyed working with heavy equipment such as his excavator down in the “Pit”. He loved to bowl and enjoyed hunting and his “Newfoundland” music. He enjoyed working with his horses and had an entry in the Queens County Fair every year. He was a member of the Nova Scotia Truckers Association and the Forest Products Association of Nova Scotia. He will be remembered as a wonderful, loving husband, father and grandfather. He is survived by his wife of 53 years Rosemary (Whynot); daughters Kathryn (Tony) Dagley of Milton, Elizabeth (Michael) Best of Western Head, Shelly (William) Vienneau of Port Mouton. Sons: Philip (Yvonne) and Stephen (Linda), both of Liverpool. Grandsons: James, Matthew, Tyler, Colby and Jake. Grand daughters: Amy, Katie, Lindsay, Jessie and Tamikka. Sisters: Geraldine (Lawrence) Ernst of Halifax and Elva (Michael) Smith of Hunt’s Point. Brothers: Eugene (Ethel) and Douglas (Diane), both of Liverpool. Wayne and Jeffery (Erin) , both of Mersey Point. Rose and family, our thoughts and prayers are with you at this sad time, Charlie was a great guy and will be missed by all who knew him, Faye, Betty , and familys. We are so sorry for your loss. Charlie was a good man. He will be missed. ROSE &FAMILY ,THINKING OF YOU AT THIS DIFFICULT TIME .CHARLIE WAS A WONDERFUL GUY AND WILL BE MISSED BY ALL THAT KNEW HIM.GOD BLESS. We are truly saddened by the loss of this great Queens County man. He had an honest, “old school” work ethic, and was a real man of integrity. Rose and family, you are all in our thoughts and prayers at this difficult time. Treasure your memories as we will ours. Rose and family, our thoughts are with you. Charlie was a wonderful man and will be missed by many. Hold your memories, they will get you through and they will live on forever. Heaven has another very special Angel. Dear Rose and family: we are so sorry to hear of Charlie’s passing. We are thinking of you all during this very sad time. God Bless. dear shelly and families we was so sorry to hear about the passing of your dad. Sorry to hear about Charlie. Our thoughts and prayers are with you. I was so sorry to hear of Charlie’s passing. My thoughts are with you at this sad time. Charlie was a wonderdul person and will be missed by family and many good friends. Was very sorry to hear of Charlie’s passing. Always enjoyed our yarns about trucking, he always made a good point. He will be truely missed . Sincerely, Richard Weagle. rose and family sorry to hear about charlie it was a schock to dad(ross). he will be missed. So sorry to hear of your loss of a great husband and father. May the lord be with you at your time of sadness god bless. Very sorry to hear of Charlie”s passing. Our thoughts are with the family in this sad time of sorrow. Please accept our condolences in the loss of Charlie. Our thoughts and prayers are with you all at this most difficult time. All our heartfelt sympathy is with you as you grieve the loss of a GREAT man! Take care and God Bless You all. Rose and family: We were sorry to hear about Charlie. Our thoughts and our prayers are with your family. We offer our deepest sympathy at this most difficult time. Our thoughts and prayers are with the family at this time. We are so sorry about Charlie, He will be missed.He was a fun and great man. sorry douglas to hear of your brother charles passing and we would like you to know we are thinking of you and your family at this heartfelt time. Having only met Charlie recently, I can contest to what a great guy he was. We talked for two hours in my yard about a very small job he was going to do for me in the spring. The talk about the job took three minutes but the rest was just fun and entertainment. I can now see where his kids got their humor. He was a character. R.I.P. Charlie. We will pray for you. Dunc and Goretti Mac Isaac. Dear Rose, We are so sorry to here of Charlie’s passing,Hope you and your family are doing okay.Charlie, will never be forgotten our pray’s are with you all. Very sorry to hear about Charlie’s death. He was a good man. My thoughts and prayers are with his family. Rose and Family so sorry to hear about your loss . May god be with you in your time of sorrow .Our prays are with you and your family. Rose & family, our thoughts and prayers goes out to you & your family. Charlie well be miss. We are very sorry to hear of Charlie’s passing. Our thoughts and prayers are with you and the family at this trying time. Rose and Family..Sorry to hear about Charlie..He’ll be missed…..God Bless. We are so sorry to hear about your loss of Charlie.Our thoughts are with you all at this difficult time. We were very sorry to hear of your loss of Charlie. Our thoughts are with you all. We’re sure your recalling many good times now and many good laughs you all had together. Hugs to you all. To Rose & Family, we are so sorry to hear the passing of Charlie…he was a great family man, and so dedicated to his business…we will miss seeing him parked at the superstore every evening…cherrish the memories…keep them close at heart! So sorry to hear of your loss thinking of you Rose and all your family at these difficult time Charlie was one hell of a man Cherish all the memories you have and may Charlie R.I.P as he is home at last. know that you are all in our thoughts and prayers and if there is anything we can do, please do not hesitate to call…. We send our condolences to all the families. So sorry to hear of Charlies passing. He will be greatly missed by all who knew him. All the old gang that started trucking about fifty years ago, will soon be hauling from the same stockpile again, but all in fine weather. Pleasant memories will last forever, cheerish them dearly. So sorry to hear about Charlie.He certainly will be missed.To all the families, our deepest condolences to all. Rose & Family, We are so sorry to hear about Charlie, he was a great man!! Our thoughts and prayers are with you all!! My sincere condolences to the Ingram Family. Charlie will be sadly missed but fondly remembered by all that knew him. Find comfort in your great memories and be there for each other at this difficult time. So sorry to hear of the passing of Charlie. Such a gentleman and a great sport. Your memories will carry you forward. Sorry for your loss. May you find comfort in each other in the days and weeks to come. Our thoughts and prayers are with you all at this time. May you find comfort and some peace knowing we are all thinking of you. Charlie was a good person who will be greatly missed. The Miller Family. Dear Rose and family, such a big loss to the community and of course to your family. Charlie was good person and very well liked in Queens County and beyond. He will be missed by so many. I hope the wonderful memories that you have of your husband, father and grandfather will help all of you get through the sad days ahead. My thoughts are with you at this time! So very sad to hear about Charlie. Will miss seeing him around town and sitting in the Super Store parking lot. He was a great guy, he will be missed by all. Our thoughts are with you. Rose and Family….I was saddened to hear of Charlie’s passing. May you find comfort and strength in the family and friends who surround you during this difficult time. Charlie was a hard-working family man who enjoyed life. He had a way of making you laugh. Charlie will certainly be missed at the Caledonia Exhibition. My prayers and thoughs are with you. So sad to hear the passing of Charlie, we had lots of chats at Middlewood Quarry. We will sure miss him . Our sympathy to all the family. Rose and Family, So sorry to hear of Charlie’s passing. Such a wonderful man.I will always remember Charlie..Thinking of you all at this difficult time in your lives! R.I.P. Charlie. So sorry to hear of your loss. My family is thinking of your family. Sorry to hear about the passing of Charlie! Cherish the memories and hang on to them! Remember he will be looking down over each and everyone of you! My deepest condolences to you all! Rose and Family, So sorry to hear about Charlie. My prayers are with all of you..
We are thinking of all of you at this sad time in your life. Charlie was a wonderful man. He will certainly be missed, not only by his family, but by his many friends and acquaintances. Our deepest condolences. Dear Rose and Family we are very sad to hear of the passing of Charlie. I am very sure all that knew him will remember him as a honest hard working man. God bless and be with you all in this sad time. Sorry to hear the passing of your brother. Our thoughts are with you and your family at this sad time . So sorry to hear about your loss of Charlie. My thoughts and prayers are with you all at this difficult time . We are so sorry to hear of Charlies passing, he will be missed by all that knew him but never forgotten. Our thoughts and prayers are with you all at this sad time. Rose and family so sorry to hear of your loss. Charlie was a nice family man. My prayers are with you at this sad time. So sorry to hear of Charlie’s passing,my thoughts and prayers go out to all of you at this most difficult time. Shelly & Familys sorry to hear of your loss just talking to Charlie in the lab to long ago. We will miss him, our prayers are with you at this sad time. I just heard the sad news about your brother, Charlie, and wanted you to know how truly sorry I am. I will keep you all in my thoughts and pray that you will find the strength and courage to get through this difficult time. Dear Rose and family: So sorry to hear of your great loss. May God comfort and keep you at this sad time and ease your sorrow..
Rose and family,so sorry to hear about Charlie. our thoughts are with you. Charlie was such a wonderful man and we will miss him dearly. Charlie was always good to us and treated us so decently. We will miss seeing him parked in the Super store parking lot every night,and we will miss him coming up here when we get ready to continue work on our house this year. Charlie was one of the best. Our deepest condolences,you and your family will be in our thoughts and prayers. We are so sorry to hear of Charlie’s passing. Our condolences go out to all the Ingram family, especially to Shelly and Elva , the two we know personally. Love and prayer’s go out to everyone! We are so sorry to hear about Charlie. Our heartfelt condolences go out to the entire family. May God be with you at this sad time . He surely has Charlie in His care now. Rose & Family: We are very saddened by the news of Charlie’s passing and are thinking of you all at this sad time. Rod, Ann & Michael. We wish to convey our condolences to the Ingram family.God is with you in your hour of need, lean on Him for comfort.Charlie is up with Him wishing he could make things easier for you.So, keep your good memories of him alive for yourselves to help you through this your hour of need. Rose and family…We were very surprised to hear of Charlies passing. He was a great man and will be missed by many and fondly remembered by all that knew him. May the concern and sympathy of those around you; help all of you through this difficult time. Sorry to hear of your loss, God be with you all. To Rose and all the families so sorry to hear of Charlie’s passing.We will certainly be thinking of you all,as you prepare to say good-bye to your loved one.You will be in our thoughts and prayers…. We are so sorry to hear of the passing of Charlie. Our thoughts are with you all. Elva, so sorry to hear of your brothers passing, my thoughts are with you. We were sorry to hear about Charlie. He chats, his skill with the machines and his friendly ways will be missed by many. No job was ever to small or impossible for him to do. Remember memories keep the one you loved close to you in spirit and thought and always in your heart, today and forever. Sincere condolences to the whole family in your loss. Charlie was a good man and loved by all. R.I.P. Charlie. I do not know him but I do know Elizabeth and Mike, and I do want to say that Im very sorry to hear he has passed away. May he rest in peace. Our Thoughts And Prayers Are With You In You Time Of Sorrow . To the Ingram family, just want to let you know that you are in our thoughts. Let the good memories get you through the rough times ahead. Ricky, Wanda and Nicole Levy and Tim Wentzell. To Rose and all familys our thoughts and prayers go out to everyone of you at this sad time . Charlie was a great man and will be greatly missed by all who knew him . May he be in peace in gods hands . To the family we send our prayers and condolences on the passing of your beloved husband, father and grandfather, Charles Philip Ingram. Our thoughts are with you. Thinking of the family during this difficult time. Charlie will be missed by everyone who knew him, a loss to the whole community. Our thoughts and prayers are with you at this time. Many, have fond memories of a great man and he will be missed. May God be with you through the days ahead. Rose and family, we are sorry for your loss, our thoughts are with you all at this sad time. Our deepest sympathy and condolences to you all during this most difficult time. May your treasured memories give you the strength to get through this difficult time. May your faith guide you through these dark hours and those wonderful memories will fill your hearts. We can see from the tributes here, Charlie touched the hearts of many. Thinking of you and your family at this time of loss. Robert has many fond memories of Charlie and the boys. Our condolences and prayers are with you all. To all the family we send our heartfelt condolences. You are in our thoughts and prayers at this sad and difficult time. Rose and Family, So sorry to hear that Charlie had passed. My prayers are with you. Rose, we were so sad to hear that Charlie had passed away .God’s blessings upon you and your family.He was well known and will be greatly missed. My deepest condolence in the loss of your husband. In 53 years you have gathered a lot of good memories. When all gets better you can share those memories with your family and friends. So sorry to hear of the passing of your Loved one….Gone but never forgotten….Remembering the time Frank came home from a dance with Charlies new boots…Well we all had a laugh over that one…..Nothing but great times at the Milton dances….We give our Deepest Sympathy to you Rose and your family. Rosemary, Elva and all the family. You folks are in our thoughts and prayers. So sorry to hear of Charlie’s passing, our thoughts are with you at this sad time. I am so very sorry and sadded to hear about Charlie passing. He was a great man and very well liked. My thoughts and prayers are with you at this very sad time. Charlie will be missed by everyone who knew him. We were so saddened to hear of Charlies passing. Our prayers and thoughts go out to all of you. He was a great man and will be sadly missed by all. Please take care Rose. Dear Elva, Gerri and families. I am sorry to hear about Charlie. I just heard about Charlie’s passing. My thoughts and prayers are with you and your families. It’s the good time memories that we remember that get us through this difficult time.